[Cuba] has a very strong singular culture . 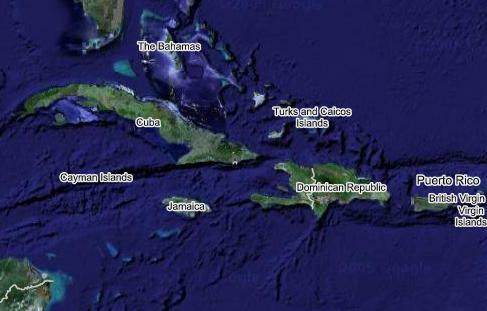 . . unlike other islands, like Jamaica and the Dominican Republic, that seem like atolls next to it. Cuba is a real country with a distinct personality. It's exotic and timeless. Whether it's music or some other reason, it captures our fancy. i dunno. i think it's prolly some other rea$on. but, you know, captures our fancy sure seems to get it right. and though exotic and timeless doesn't quite conjure the images of distinctiveness that terms like singular culture seem to imply, who's to argue that jamaica and the DR are real countries? if there's a toll here, though, it's the price we pay as an american public scheming and plotting and dreaming against the grain of history. the old empire called that hubris before their language fell out of favor. among other problems with the article--which, while calling attention to some interesting trends in the cuban and caribbean tourist industry, appears to embrace an implicit (and for some of those consulted, explicit) yearning for the island to be overdeveloped soon as castro croaks--it fails to inspect such facile and spurious assertions as senor schrager's, claims so clearly spoken out of vested interests and plain ignance. instead, the talking-head secret-agents travel-agents are treated as experts, allowed to spew and strew stereotypes, to make outrageous generalizations, to slander and to sully--all in the service of, um, good service (?). or as mr.schrager says, "My customers are waiting for Cuba to happen." very sloppy journalism for the nyt. travel writing is a murky arena, but they're usually better that that, right? i'd like to think so. call me cynical though. cool, cool. am hoping to make the sosolimited show--apparently, they'll be intercutting (and otherwise manipulating) tom cruise films and scientology propagando to their own soundtrack. definitely sounds promising. also, ali shaheed muhammed's at the e room tonight (!). fyi. and, oh yeah, despite cuba being, far and away, the largest island in the caribbean, and one with an enormous influence across not just the region but the world, here's a good explanation of what an atoll is: jamaica ain't one, ni DR.